Take up to 25% off during Shopbop’s event of the season!! 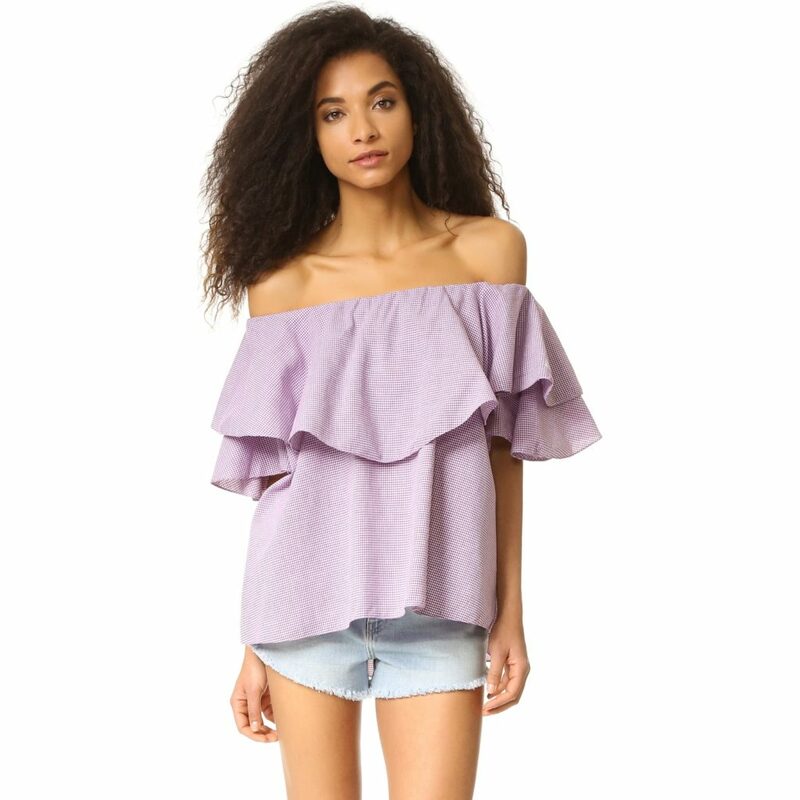 Tops like the Maison Off Shoulder Top ($150) are now up to 25% off. Shopbop’s Spring selection has been stellar this year, and now there’s an added reason to take a look at their pretty selections: through today, you can take up to 25% off your Shopbop purchase with the code EVENT17! I love beautiful dresses, and Sleeveless Arella Midi Dress ($875 + 25% off) is tops on my list. I’m so enjoying the return of ruffles and feminine pieces, making my Shopbop list pretty huge at the moment! High up on the list are some favorites like the beautiful lavender Eboviah Dress ($249 + up to 25% off), the pleated Sleeveless Ruffle Dress With Lace ($129 + up to 25% off), the Toibe Dress ($249 + up to 25% off, see it on me here), the white pom-sleeved Chasym Top ($150 + up to 25% off) and of course the One Shoulder Top with Ruffle ($110 + up to 25% off). I’m also loving the denim options, including the Looker Ankle Fray Jeans ($205 + up to 25% off, see them on me here) and the Stiletto Jeans ($198 + up to 25% off). And here are some more of my picks, from clothing and then from bags + shoes. What will you pick up during this Shopbop event? What’s on your Shopbop list right now? Looking for more promotional deals this weekend? This roundup post highlights several amazing promotions happening this weekend! I second the Olivia Burton watches – I have 3 or 4 that I got on sale at Anthro and love them. They are so pretty and the leather bands are soft soft soft. I didn't know that Nordstrom carried them too – and so many! lol sorry not sorry ?? Yes!! Ted Baker is one of my favorite brands right now, such beautiful prints and flattering fits! I will be doing another feature post on the brand soon.